What a great time! This is one of our vacation weeks this year. 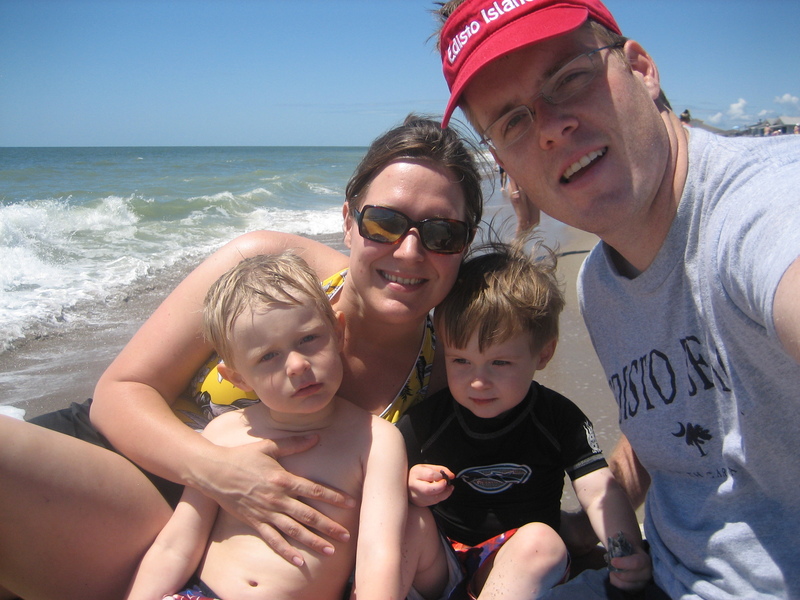 Ashley and the boys and I are staying at Edisto Beach at the Littlejohn Retreat which is owned by some good friend of ours at Morningside. It is a much needed time of relaxation and family time before the busy and stressfull summer of youth ministry hits full swing. So far, the weather could not be more perfect and we are having a wonderful time together as a family. No real agenda – just hanging out, swimming and spending fun times together. Here are a few good pictures from yesterday at the beach and at the James Island Splash Zone Water Park. 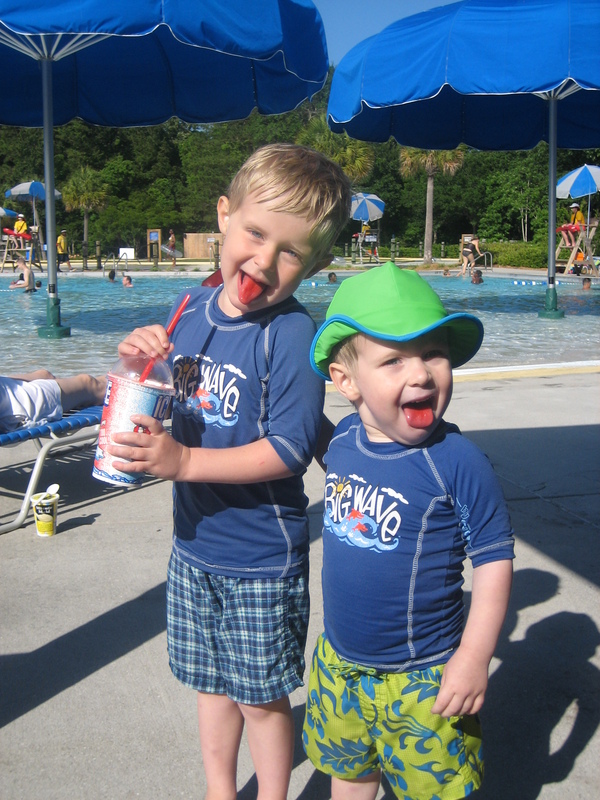 Anderson and Ellis wanted to show off thier red tungs after a icee treat on a hot day at the water park. They’re having so much fun together. We’ll try to blog more later. Hope you’re all having a good week – even if it’s not on vacation.